Recyclable by nature, glass is the foundation of our environmental policy. 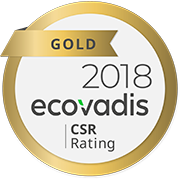 This includes the eco-responsible upgrades of our facilities, ISO 14001 certification for all sites as well as ongoing improvements in our environmental performances. The symbol of our lasting commitment is "Infinite Glass NEO", the first luxury glass made up of 90% recycled materials and 100% recyclable glass. We also control our carbon footprint through our worldwide presence in clusters located as close as possible to our end customers. Out CSR approach, named « Glass Made to Last », is inspired by our strong values: passion, excellence, respect, courage, and is based on three fundamental pillars: People First, Act for Society and Eco Solutions. Our ambition and our responsibility as a leader is to remain pioneer and exemplary for our employees, our territories and our customers. People First: because a company is nothing without its talent. 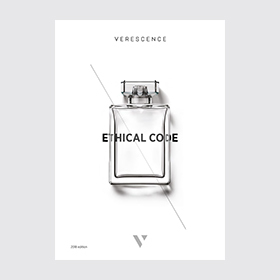 At Verescence, this reality is all the more fundamental in that we are an international group, dedicated to manufacturing luxury products. Glass-making and finishing are not easily learned skills. They are based on precise and rare expertise acquired over a long period of time. What's more, they evolve with the arrival of new technologies. 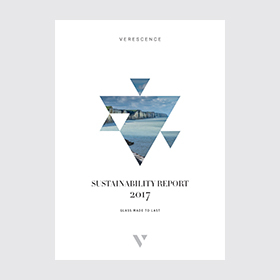 Verescence must now find a way to maintain its historical skills and adapt to new developments, while guaranteeing safety and well-being at work. Verescence has the particular feature of being an international group with a strong local presence. As a leader, we have to set an example and make our actions sustainable so that we contribute positively to the ecosystems around us. We believe that economic and social performance can be conducted jointly. Our concept of social responsability is shared with all our partners and includes our economic activities, our employment policy and our business ethics. It is by thinking about our margin of improvement that the four major stakes in the pillar Act For Society were defined. Glass is a unique material that can be recycled an infinite number of times without any deterioration in its properties. It inspires us to incorporate the environmental imperative as a source of creativity and innovation. We believe that developing more planet-friendly processes and eco-designed products is compatible with the codes of luxury and beauty. It brings an extra dimension to our customers' products, particularly for new generations of consumers. Our strategy addresses the CSR issues that arise in our value chain and meets the expectations of our stakeholders (employees, customers, suppliers and public authorities).